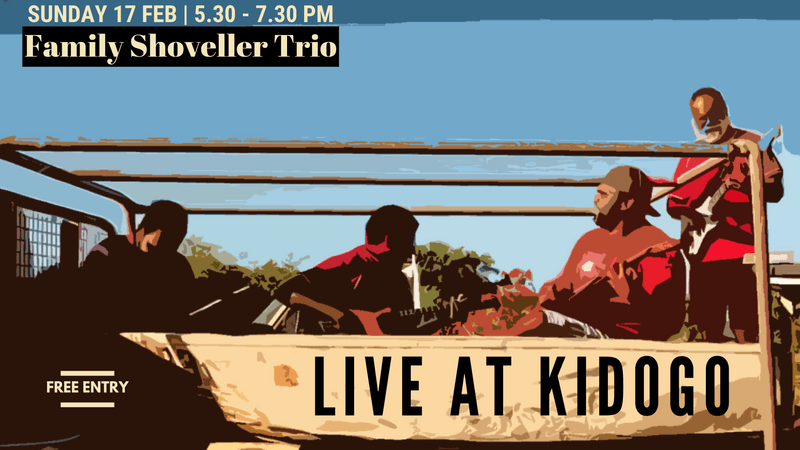 Family Shoveller Trio will be showcasing their exciting mix of Rock, Blues and Indigenous music on the deck at Kidogo Arthouse. Hailing from the Aboriginal community in Bidyadanga, the band have developed a considerable following in northern Western Australia. Note: Performance on the deck is weather-dependent, and may be moved inside. Tickets at door subject to availability.